All homes currently listed for sale in the zip code 90045 as of 04/18/2019 are shown below. You can change the search criteria at any time by pressing the 'Change Search' button below. "Perched on the bluff in the much desired One Westbluff community overlooking Loyola University & Playa Vista (the hub of Silicon Beach). You are minutes from LAX and the beach, surrounded by mountains and city views. The home offers an open floor plan for entertaining, beautiful chef's kitchen with Cherrywood cabinets, granite counters, KitchenAid stainless steel appliances & an oversized island. The impressive family room with fireplace is perfect for entertaining while also enjoying the spacious patio with fountain for indoor/outdoor living at it's finest. Private patio off of the downstairs formal dining room. Upstairs the beautiful master suite features a spa bath, walk-in closets for two and meditation/exercise alcove and views of the city lights. This home offers lavish touches including stunning Travertine tile, hardwood floors, surround sound in the LR & Master suite." 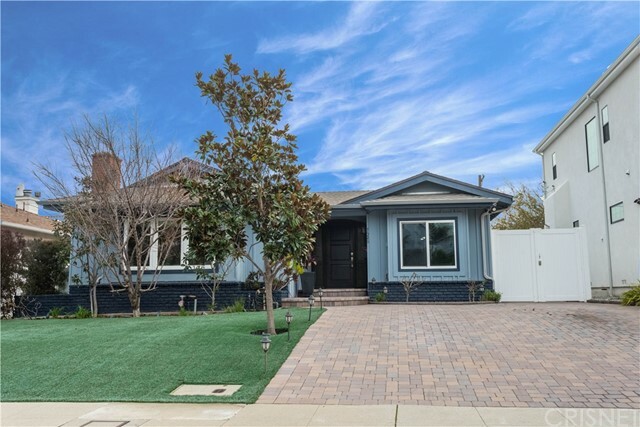 "Stunning coastal one of a kind home on the coveted tree-lined Henefer Ave,nestled in the heart of highly sought after N.Kentwood w/warm captivatingCape Cod dsgn.Featuring 5bd+5bth home boasting 4400sf of living space w/dramatic 20' foyer.The open floor plan has 3 fireplaces,wet bar & cofferedceilings,generous dining rm, infusing deep rich oak wood flrs,10' high ceilings,dramatic finishes w/wainscoting & crown moldings.Chefs kitchen has Wolf/Subzero appliances incl. 72 refrigerator/freezer,dual dishwashers,and elegant finishes.This home includes rich Oak walk-in wine cellar,swanky master suite featuring a dream bathroom w/steam shower,multiple walk-in closets,office,and fireplace w/private oversized balcony overlooking the beautiful 9200sf super sized well manicured landscaped lot that is peacefully decorated w/two 80' sycamore trees.Other features Inc. Dolby7 theater sys,internet/media wired,closed-circuit & more.Optional large pool/spa.Welcome to Silicon Beach one of kind paradise." "A MUST-SEE BRAND-NEW BREATHTAKING MASTERPIECE located in coveted Kentwood area! This stunning 5 bedroom home is an entertainer's delight, offering exceptional craftsmanship and architectural details defined by sleek sophistication and warmth. Stepping through this idyllic beauty, you're introduced to an open layout, with a formal living and dining room. Stainless steel Wolf appliances, subzero fridge, dual sinks and dishwashers, a large center island and an oversized butler's pantry complete this perfect European-style chef's kitchen. The glass sliding doors in the family room allow for a seamless indoor/outdoor living, opening up to an impeccably manicured backyard showcasing a built-in BBQ bar area and sparkling saltwater pool. A luxurious master retreat has dual walk-in closets and a master bath fit for royalty.Custom fixtures, wood clad windows, & hardwood flooring can be seen throughout the estate. Elevated ceilings and expansive windows bring in an abundance of light." "Stunning new modern home in prime Westport Heights neighborhood of Westchester, on a large lot. Featuring 5 BR-4.5 BA in an open floor plan of approx. 3,800 sq. ft. on approx. 8,000 sq. ft. lot, with a large flat backyard. Bright and gourmet kitchen features island with sink and bar seating, stainless-steel appliances, walk-in pantry, and dining area with sliding doors to outside. Kitchen opens to large family room with modern-style floating built-ins, fireplace, and sliding glass doors that lead to covered patio. Lush backyard features BBQ, large grassy area, and terraced design. Spacious master suite features custom wood design, glass doors to upper patio, two walk-in closets, and bright master bath with custom tilework. Home is completed by entertainer and designer details such as upstairs patio, custom woodwork, wine display, front bedroom with balcony, surround sound, and security system with cameras." "Just completed modern farmhouse exudes warmth and quality! With custom details and finishes throughout, this exceptional home is certain to impress. French white oak wood flooring; shiplap detailed walls; porcelain and quartz Counters: abundance of natural light throughout. No stone was left unturned. Large wooden beams define the fabulous vaulted ceiling in the family room. Open chef's kitchen is equipped with Sub-Zero and Wolf appliances, an 8-burner range, stunning porcelain slab island, farmhouse sink and walk in pantry. Master suite boasts high ceilings, expansive walk-in closet and a luxurious walk-in shower for two. There are 2 additional bedrooms, at the opposite end, with shared bath. The lower level has accordion doors that open to the backyard, ideal for indoor/outdoor entertaining and family gatherings. A detached guest unit, complete with kitchen and bath, is ideal for in-laws, a home office or studio. Embrace it all. Welcome Home." 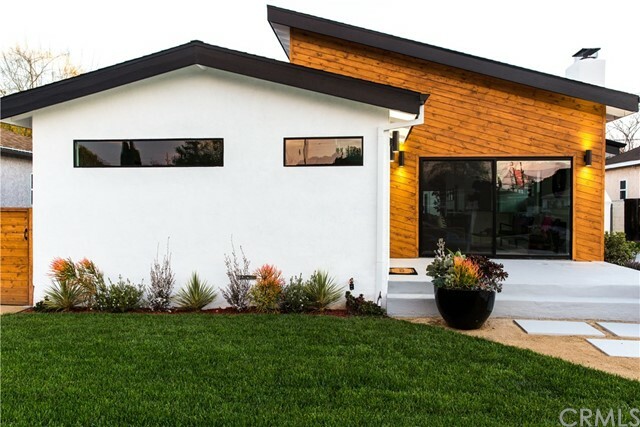 "This California coastal, modern farmhouse was taken down to the studs in 2018 and completely redesigned and remodeled. The result is an effortlessly chic 5 bedroom/6 bath home that has a refined, yet casual ambiance in a premier Kentwood location.French white oak floors and a shiplap-lined entry invite you into the heart of the home--an airy, light-filled expanse with living room, dining room, and open-plan kitchen. The gourmet chef's kitchen has high-end Bertazzoni appliances, a cast-iron farmhouse sink, gorgeous Rohl faucet, and spacious quartz island with bar seating. With nearly 8,000 square feet of indoor/outdoor space, this is California living at its finest. Step through patio doors to lounge on the spacious wood deck overlooking the pool, or dine al fresco near the gas BBQ or outdoor firepit. This smart home is equipped with built-in surround sound, Nest thermostats, Ring doorbell, and security cameras. No detail was left out in this owner, builder, designer collaboration." "This 4 bed, 3.5 bath home offers the very best of contemporary design with an uncompromising floor plan. Enjoy total privacy afforded by the lushly planted lot that includes fruit trees and outdoor dining pergola. Host cocktail hour in the the cover-worthy custom kitchen, outfitted with top-of-the-line Bertazzoni appliances, quartz counters, large breakfast bar, TV connection, wine cooler, and stylishly designed cabinetry. Upstairs, a tranquil master features incredible views and a California style walk-in closet as well as an impressive en suite with an enormous glass-enclosed shower and freestanding tub. 3 more beautifully appointed bedrooms and 2.5 additional bathrooms radiate luxury and convenience. Enchanting design accents such as a reading nook, swing chair, and palm wallpaper add special moments while upgrades such as Ring doorbell, Nest thermostat, smart lighting, and built-in interior and exterior Sonos sound system add high-quality convenience in this modern coastal home." "Sun-drenched white oak surfaces evoke a Scandinavian-meets-Farmhouse design sensibility in this newly constructed home by Parsons Way Homes. With built-in clear pine benching and brise-soleil, the portico offers a dramatic sense of arrival. Once inside, guests are greeted by a light-filled great room anchored by an elegant fireplace adorned by clear pine paneling. Caesarstone Concrete Cloud counters and Bertazzoni appliances provide contrast in the kitchen that boasts a wine fridge, pantry and eat-in island. Just outside, the covered backyard patio overlooks the bonus room and private yard - generously sized for a pool. A custom staircase leads to three upstairs bedrooms each with airy cathedral ceilings. The master suite features fireplace, balcony, dual closets, and en suite featuring terrazzo-inspired tilework, and dual skylights overs the shower enclosure. Additional features: indoor/ outdoor speakers, iPort Smart Home System, dual A/C systems, Ring doorbell, and 2-car garage." 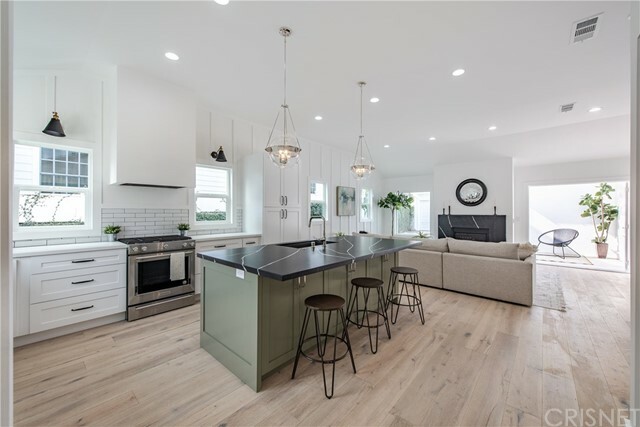 "Experience the charming grandeur of this newly built 5 bedroom/4 bath, 3,046 square foot modern farmhouse situated in Westchester's coveted Kentwood neighborhood. This home employs the ultimate open concept design with spacious formal dining, kitchen, breakfast nook and living room all flowing seamlessly on the ground level. Guest bedroom or office along with full bath complete the first floor. Upstairs boasts three guest bedrooms, two full bathrooms and a bonus family room in addition to the meticulously designed master suite that includes large walk-in closet. Elegant and durable engineered hardwood floors throughout. Kitchen is equipped with quartz counters, custom cabinetry, Bertazzoni range and generously sized island with breakfast bar. Expansive glass sliders open up the living room to the beautifully landscaped backyard with built-in barbecue." "The Contemporary at 8040 Regis Way is a bespoke brand new construction resort-style compound, situated on a prestigious tree-lined street in the heart of Loyola Village, Silicon Beach. Whopping Great Room on the first floor with ideal floor plan that's extending from the front foyer to the living/dining rooms, then ending in the State-Of-Art kitchen and family room which open to the backyard through the bi-folding and sliding doors for a seamless interior/exterior feeling of space. Also one bedroom with its own bathroom and walk-in closet, plus a guests bathroom, storage closet and wine cellar to complete this ground level. Second floor has two more bedrooms with their own bathrooms and walk-in closets, a laundry room comes ready with side-by-side washer and dryer, with finally the massive master-bedroom wing that has its own fireplace, elegant bathroom, walk-in closet, and a balcony overlooking the backyard. - Prime location, top-notch estate at bargain value; a home that won't last!" "LIVING BY THE BEACH & ENJOY THE DAILY SEA BREEZE ANYONE ?! WELL, THIS DESIRABLE & LUXURY HOME IS GETTING PRETTY CLOSE TO IT ?? : ELEGANT KENTWOOD COLLECTION HOME ON THE BLUFF; BOAST 5 BR/5BA, & 3 CAR ATTACHED GARAGE; AMONG THE LARGEST OF THE THREE ORIGINAL FLR-PLANS; DRAMATIC FORMAL MARBLE ENTRY & LIVING ROOM W/ VAULTED CEILINGS; THIS GRAND SIZE HOME HAS IT ALL !! INVITING FIREPLACE IN FAMILY RM; SEPARATE FORMAL DINING, OPEN KITCHEN W/ GOURMET COUNTER TOP ISLAND & BREAKFAST BAR; FRONT & BACK LANDSCAPE; BUILT-IN BACKYARD BBQ & PATIO; EXTRA LRG MASTER BEDRM W/ PRIVATE LOUNGE AREA & VIEWS; HIS & HER WALK-IN CLOSETS; SPACIOUS MASTER BATH W/ SEPARATE SAUNA & TUB; SUNKEN LIVING RM COMPLIMENTED BY VAULTED ARCHED WINDOWS & GRAND DOORWAYS; RECESS LIGHTINGS THRU-OUT; WELL MAINTAINED & HIGH QUALITY CONSTRUCTION; RARE OPPORTUNITY TO OWN THIS GORGEOUS HOME ON THE BLUFF OVER LOOKING PLAYA VISTA; ADJACENT TRAIL & WALK WAY. SELLER MOTIVATED ! BEST PRICE IN THE AREA ! WON'T LAST !! WELCOME HOME!!" "Gorgeous Mediterranean Villa located in the heart of Loyola Village! This one of kind villa boast over 5400 sf/ft of living space. This estate features 6 beds, 7 baths, a huge gourmet kitchen w/dining area and French doors which opens to landscaped courtyard. Formal dining room, formal living room, family room, 2 wood-fireplaces, generous patio/deck with spa and outside wet bar. The exterior grill, lighting and surround sound complement the outdoor space, ideal for one's entertainment needs! First floor has a huge living room w/fireplace which adjoins the dining room. The family room is perfect for play area or your very own home-theater needs. Upstairs features:laundry room, an over-sized home-office with full bathroom and built-in/custom cabinetry. A generous-sized master suite w/custom cabinetry and walk-in closet, fireplace, balcony and master bath! There is also a full guest house with its own kitchen and laundry. One of the best values in Westchester priced at $370 per sq/ft!" "Gorgeous contemporary 4 bed + 4 bath home in prime Westchester location. Redesigned & remodeled from the studs up in 2016. The large open concept living-dining-kitchen space flows into a spacious family room that continues into the backyard with large deck & fireplace creating an exceptional indoor-outdoor living experience. The first floor further boasts 2 spacious bedrooms & 2 bathrooms. Upstairs features a gorgeous master suite with high ceilings and a large walk-in closet. Oversized upstairs second bedroom can be easily converted back to two bedrooms, making it a 5 bedroom house. The finished garage can be used as a bonus area. There is plenty of parking available in the garage or in the long grass/paved driveway. Designer finishes throughout create a modern yet timeless feeling to this extremely comfortable and practical home. Recently installed solar panels. Walking distance to restaurants, the Coffee Bean, Bristol Farms, and just minutes away from beaches and the Marina." 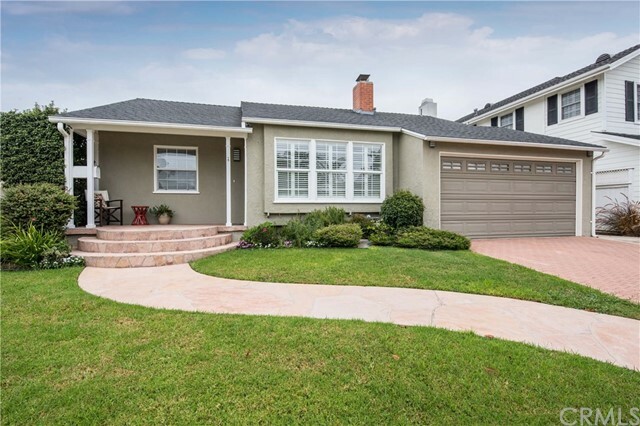 "Located in Westchester's prized North Kentwood neighborhood, this charming Craftsman presents exceptional attention to detail. The auburn front door with divided lights and inlaid stained glass set the mood. Enter to a gleaming gourmet kitchen that welcomes you to the heart of the family's daily life. Step into the Great Room for dining/living/entertaining. Coffered ceilings house recessed lighting to illuminate the custom furnishings and decor. Fireplaces in the living room and master will warm your heart as well as your feet and hands. Lawyers paneling on the staircase ushers you to the second story master suite and 2 more bedrooms. Each of the 5 bedrooms (3 upstairs, 2 downstairs) has a closet with skillfully detailed solid wood built-in drawers and shelves for ease of organization. Balconies on the east and west exposures offer tree top and city views. Join us to meet this masterpiece in person!" 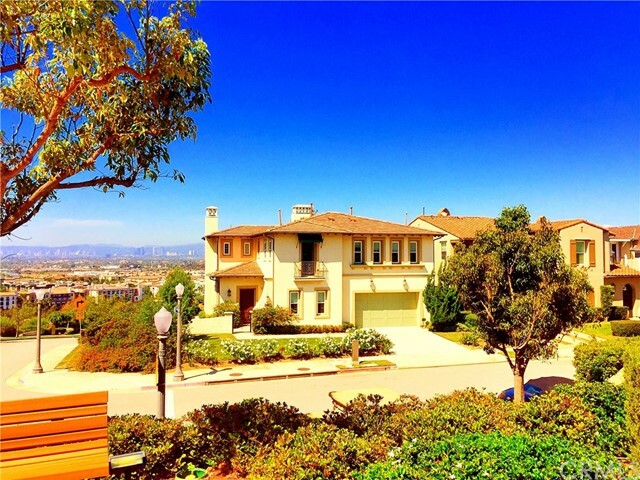 "This grand Westchester home in sought-after Silicon Beach boasts 4,080 sqft of living space! Be swept away by an iron-banister staircase, high ceilings & rich hardwood floors throughout. The family room overlooks the well-manicured backyard & includes its own bar, complete w/ a wine fridge & bottle rack. The kitchen comes equipped w/ SS appliances, granite counters & a large center island. Step into your private elevator & ascend to the 2nd story to find your master suite w/ ample natural light & elegant crown molding. The en suite features a large tub, walk-in glass shower & a double closet. This home also offers 2 more bedrooms on the 2nd floor, a 3rd floor living space w/ beautiful city views, 1 bedroom on the main floor & a finished basement. Addt'l features include: a dual HVAC system, stereo system & security cameras. Come make your dream home a reality just minutes from the Westside's trendy restaurants/shopping destinations, Playa Vista's Runway & tech players Google/Facebook." "How about a newly finished open concept custom craftsman home for the family in the highly sought after Westchester neighborhood? 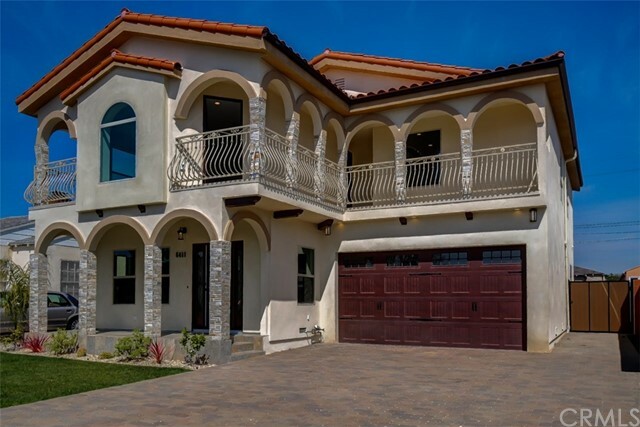 This 6 bedroom home has all the space needed for your family, using bedrooms as a rec room, office, &/or family room along with hand selected luxury finishes throughout, where even your high ceilings are something to enjoy which have Tongue & Groove beautiful white ceiling planks, even most bedrooms are vaulted as well. At the end of the day you have a sanctuary of a master suite with a soaking tub to relax the day away. On the weekends make the most of your huge backyard otherwise your furry kids will! Easy access to the 405, shopping, Silicon Beach, and LAX makes for less time on the road and more time enjoying your new home!" "North Kentwood beauty has 4 bedrooms and 3 bathrooms with a nice sized professional recording studio which can be turned as a guest house. This friendly community charm is like a Mayberry by the Sea Impeccable home with formal entry. Bright and airy kitchen with granite counters, touch faucet, lots of cabinets for all your kitchen wares and water filter. Roomy eat in kitchen. Newly painted fun sized dinning room. Living room with fireplace. Large family room with wood flooring and wet bar. Newly painted lovely, romantic master with double glass doors to access the back, wood floors, and convenient reading lights walk-in closet. Master bathroom includes heated flooring, large 2 person shower, free-standing hot air tub, water closet. Exercise/yoga room with fully mirrored wall and rubber floor. Wide baseboards, crown molding, lovely laundry room with utility basin and cabinets for all your cleaning storage needs. Dual pane windows, wood floors and whole house fan to keep you cool on those summery days! Fun heated spa with a stereo system. Tank-less water system with re-circulation. Water saving turf lawn front and back. Fruit trees. Beautiful pavers front and back. Security system with 8 cameras. The recording studio has dual wall insulation, rubber and sand sound deadening in floors and lower walls. The studio can also be turned into guest quarters or possibly an ADU"